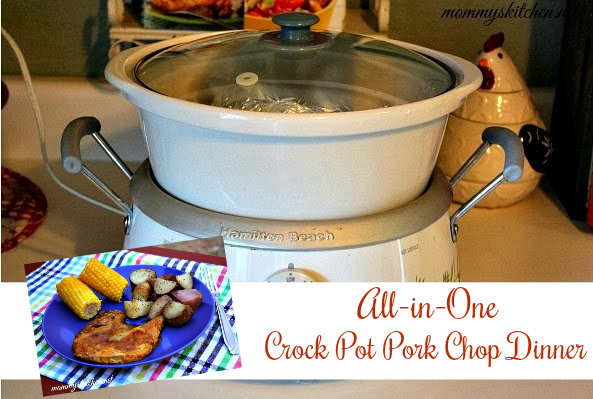 Keep your kitchen cool and still get dinner on the table with this easy All-in-One Crock Pot Pork Chop Dinner! 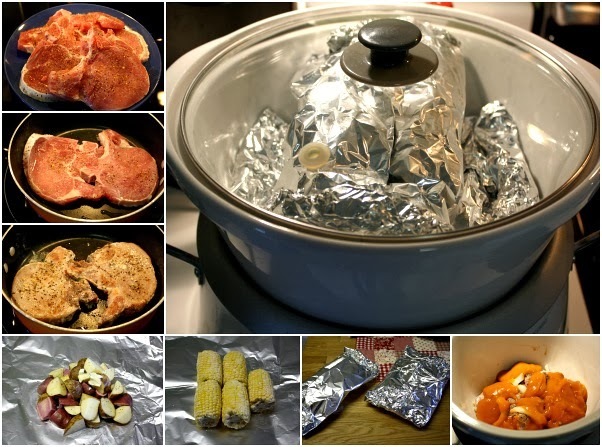 Just layer all your ingredients in your slow cooker in foil packets. Cover tightly, set on low and cook for 6 hours. Happy Tuesday everyone!!! 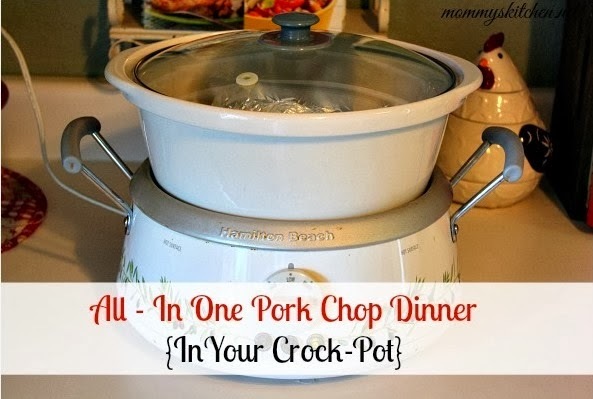 Today I want to share an easy and delicious recipe for an All In One Crock Pot Pork Chop Dinner. I saw this recipe a while back on Hickory Holler Farm and tweaked it a little bit more to my liking. I love my crock pot and I love pork chops, but sometimes I run out of ideas on how to prepare them. My husband likes good old fried pork chops, but I prefer baked pork chops. What I love even more is letting someone else do all the cooking, so that's where my crock pot comes in the picture. I've always been a fan of crock pot recipes, but cooking an entire dinner in one, well that was new to me. I have only attempted this cooking method one time with a Crock Pot Hash Brown Casserole and a Smoked Sausage packet on top. Everyone loved it, so I was hoping this recipe would be no different. 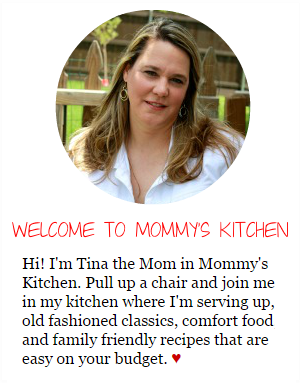 This cooking concept is really simple and can be done in any 6 quart crock pot. Just layer all your items starting with the meat on the bottom, and then layer the potatoes and corn on top of the meat in foil packets. Cover tightly, set on low and cook for 6 hours. That's it!!! The pork chops were so moist, the potatoes and corn cooked perfectly and the gravy was wonderful. The best part was once I took everything out of the crock pot and plated the food all I had to do was clean the crock pot and toss out the foil. I'm so excited about the results that I can't wait to adapt this method with different cuts of meat, vegetables and potatoes. Let's get started with the step by and just how easy this whole meal came together. To start season the pork chops with Montreal steak seasoning to taste on both sides. Heat a large skillet over medium heat and add a bit of olive oil. When the pan is nice and hot, place the pork chops in the skillet and sear the chops. Turn the pork chops over and sear the other side. Remove to a plate and set aside. Add the pork chops to a 6 quart or larger crock pot that has been lightly sprayed with non stick spray or use a crock pot liner. Pour the golden mushroom soup over the pork chops, and scatter the onions and mushrooms (if using) on top. On a sheet of aluminum foil add the potato wedges, add one tablespoon butter and sprinkle a bit of Montreal Steak Seasoning on top. Gather the ends of the foil together to make a foil pouch. 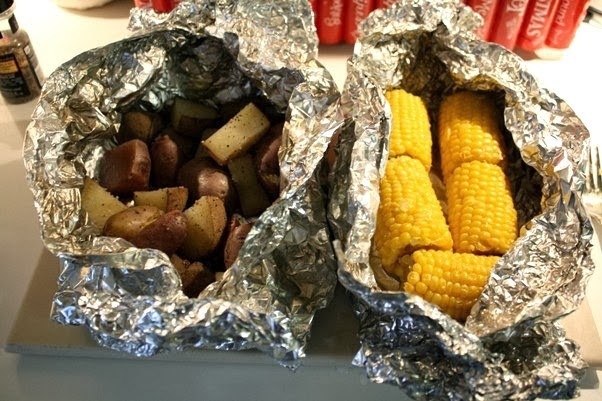 Using a second sheet of aluminum foil add the ears of corn. Add another tablespoon of butter (and a bit of salt or season salt if you like) and gather the ends to make a second foil pouch. Place the potato pouch directly over the pork chops and gravy. Add the corn pouch on top of the potato pouch. Tightly cover the crock pot and turn on low. Cook for 6 hours (depending on your crock pot) or until the pork chops are fully cooked and the potatoes and corn are tender. Remove everything from the crock pot unwrap and serve. 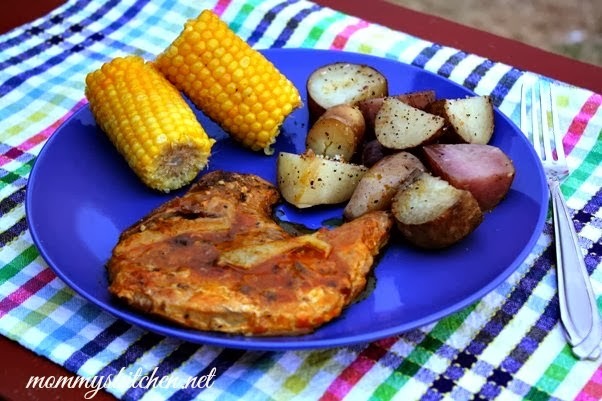 The pork chops, potatoes and corn cooked perfectly. Season pork chops with Montreal steak seasoning on both sides. Heat a large skillet over medium heat and add a bit of olive oil. When the pan is hot, place the pork chops in the skillet and sear the chops. Turn the pork chops over and sear the other side. Remove to a plate and set aside. Add the pork chops to a 6 quart crock pot that has been lightly sprayed with non stick spray or use a crock pot liner. Pour the golden mushroom soup over the pork chops, scatter the onions and mushrooms (if using) on top. On a sheet of aluminum foil add the potato wedges, add one tablespoon butter and sprinkle a bit of Montreal Steak Seasoning on top. Gather the ends of the foil together to make a foil pouch. Using a second sheet of aluminum foil add the ears of corn. Add another tablespoon of butter (and a bit of salt or season salt if you like) and gather the ends to make a second foil pouch. 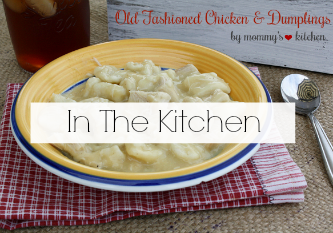 Place the potato pouch directly over the pork chops and gravy. Add the corn pouch on top of the potato pouch. Tightly cover the crock pot and turn on low. Cook for 6 hours (depending on your crock pot) or until the pork chops are fully cooked and the potatoes and corn are tender. Cook's Note: I started my crock pot on high for the first hour then reduced the temperature to low for the final 4 hours of cooking. It took 5 hours total and my meal was fully cooked. 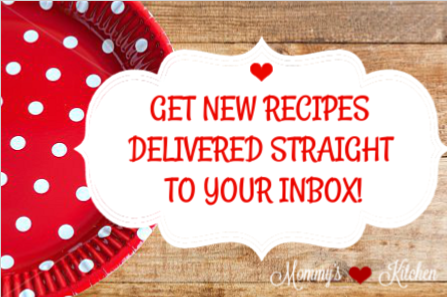 Keep in mind some crock pots cook faster and get hotter than others. I know that you love your HB crock pot, I think I have seen you post about it before. I have one too, only the design on mine is a little different. Do you find that it cooks hot? I haven't been able to get the times adjusted quite right. It seems that the low cooks at a high temp. What is your experience? What can be used instead of the mushroom soup? @Debbie, The original recipe called for cream of mushroom soup, but I like golden mushroom instead. You can more than likely substitute with any cream soup (celery or chicken). You can might even be able to use beef or mushroom gravy. @LeAnn, I haven't really had any problems with my crock pot cooking tot hot. I will have to keep and eye out next time and see how it cooks. I don't really use the high setting with this crock pot except when I want to get the crock pot nice and hot and get the meal started. I mainly use the low setting. Luv it when you can cook a whole meal all in one pot. Makes for easy clean-up and few pans to wash. Thank you Colleen and what a great idea. 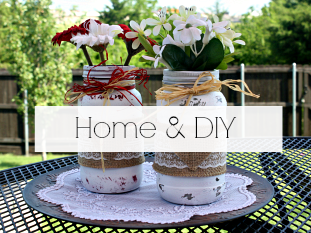 What a great idea....can't wait to make this. I, also, prefer golden mushroom to cream of mushroom soup. Thanks for sharing. I love the idea of using foil to separate the potatoes & veggies, I love my crock, but I don't like the veggies & potatoes & meat to all taste the same and that is what seems to happen when I mix it all together. I use cream of mushroom 'AND', cream of celery, 'both'. When you made the Crock Pot Hashbrown Casserole with a smoked sausage packet on top, how did you prepare the packet? Was the smoked sausage frozen? Did you add seasonings? My husband and I love hashbrown casserole and smoked sausage, so this sounds perfect for us! 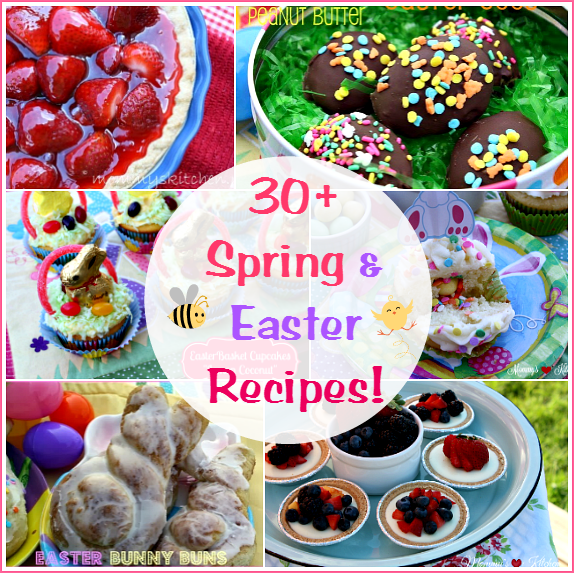 What delicious recipes. Could you just come to my house and cook dinner every evening? Should try this with cream of onion soup. (It's a thing, if you've never heard of it - Campbells makes it, and it's got a lot more flavor than cream of mushroom...) Sounds fantastic. 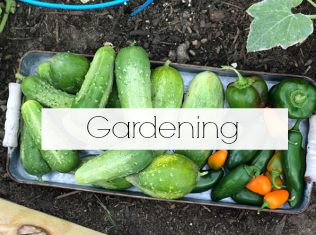 Can I use frozen corn or maybe green beans instead of corn on the cob? Now that's my kind of cooking easy. Made it and loved it! I used beefy mushroom soup instead because I like it better than the golden mushroom. Will be making again! thanks for sharing! Are you wrapping the porch chops in foil too? Looks like it would be a mess if you put the pouch of potato over the porkchop and soup. No I am not wrapping the pork chops in foil. I just add the pork chops to the bottom of the crock pot and add the soup after browning. It isn't a mess after it is all cooked. Can you use fresh corn instead of frozen? Does anyone have the "Ninja" crockpot? Do you find it runs average (not too hot or cold)? Thanks! I have the hb one with the probe attachment you program it to turn off when it hits the temperature you put in and then stays warm for seven hrs. I love it. I would like to know if you can use fresh corn, I don't like frozen corn on the cob. Thanks. Can I use a regular crock pot?? Anybody else have a hard time fitting this in your crock pot? I am using a 6 qt with 4 normal size chops, 4 fist size potatoes, and 5 mini corn cobs. Had to put half the potatoes in a second smaller pot. I make pork chops in the crock pot all the time but never put potatoes and corn in with them, I am definitely going to try this. If you want a good easy pork chop in the crock pot just put the chops in the bottom of the crock pot and put a can of cream of chicken soup and then a packet to Hidden Valley Ranch dressing mix on top, DO NOT mix it, and it's great! This will work with these foil packets as well so I can't wait to try it!!! 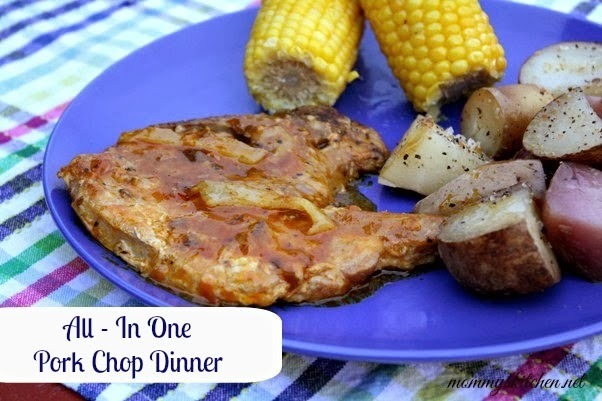 These pork chops melt in your mouth and you don't have to sear them on the stove first either!!! Hi - any idea on the nutrition info for the pork chop recipe? Calories & fat? I do not know the nutritional value or calorie count for this recipe. Sorry, but you will need to enter the ingredients in an online calorie counter or nutritional calculator. If you use a crockpot liner, you don't even have to wash that! Awesome! Can I use boneless chops? Thank you for posting this. Can't wait to try it. 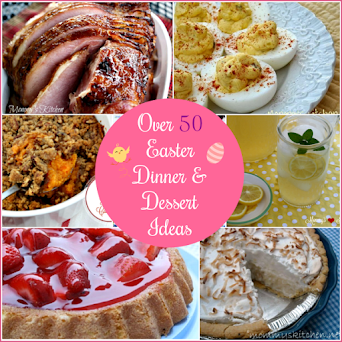 Do you have any other all in one dinner recipes or know where we could find some? The first time I made this, it was a huge hit!! I did not use the seasoning, but I did use the beefy mushroom soup,and used it as a gravy for the potatoes. I will be making this more often, and sharing it with friends. It was wonderful!! Okay, maybe I'm the only one, but....I've never seen a crockpot like this where it sits on top, instead of inside it! The crock pot is a 3 in 1 slowcooker. They are sold on Amazon and in Walmart. I have had rhe pork chops with the Ranch dressing....DELICIOUS! Another alternative to cream soup is a can or too of Nestle's Table Cream (Crema Media), usually found with the Spanish foods, with a spoon or so of Better than Bouillon. Great texture and flavor and NO mushrooms! That is a wonderful alternative to cream soup. I will have to remember that. I use the media table cream, so I would of never thought of using that. I would not use it in this recipe as it calls for Golden Mushroom soup and not Cream of Mushroom Soup. last week i was looking for a recipe for the crock pot for chicken theighs and found your recipe for the pork chops and thought ill bet this would be good for chicken too.so i made it .the chicken fell off the bones and my picky husband who isnt a big fan of bone in chicken really liked it and the potatoes were so good .ill bet you could use almsot any meat .ill be making more soon .